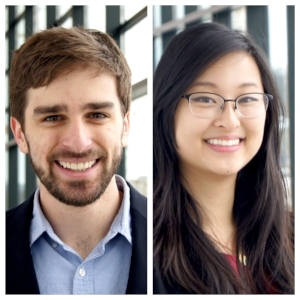 Though Levi DeLuke (’14) and Ellen Su (’13) started recently as Mentors in Residence at Tsai CITY, there is no need to welcome them. They are familiar faces at what was once the Yale Entrepreneurial Institute where, as undergrads in 2014, they launched Wellinks, a wearable medical device company. Levi and Ellen’s collaboration began when they founded Yale’s Design for America studio. Upon receiving the CEID Summer Fellowship, they were able to work on their own project. During their time at the CEID, Levi and Ellen came up with the idea that would become “Cinch,” a Bluetooth device that can be retrofitted to any back brace on the market and connects to software that monitors patients for proper brace fit and usage. Wellinks uses their expertise in design and engineering to innovate within the healthcare and medical device spaces. For teams looking to follow their lead and venture into both software and hardware production, they recommend seeking mentors. You can sign up for Ellen’s and Levi’s office hours here and here, respectively.